TechCrunch.com is the No. 1 source of breaking tech news. Without an optimized mobile or tablet experience, TechCrunch was not fully realizing the value of their own content. With 6.5 monthly uniques and 13 million followers and fans, the site drives 21 million monthly page views. The readership are true tech news junkies. 44% earn an annual household income of 110K+ and are 110% more like likely to read TechCrunch content on a tablet. They are not just interested in breaking news, but also highly value the backstory (the companies, people and products behind the news). As mobile traffic was increasing, desktop traffic was declining. This clearly aligned to the shifting technology preference of their tech savvy readership. With the lack of an optimal experience and advertising strategy on the mobile platforms, TechCrunch revenues were declining even though their overall audience was growing. At the same time, third party readers like Flipboard & Pulse were benefited from the optimized delivery of TechCrunch content through their mobile platforms. Flipboard alone was seeing over 13+ million monthly flips from 1+ million users reading TechCrunch content. Without an optimized mobile or tablet experience, TechCrunch was not fully realizing the value of their own content. 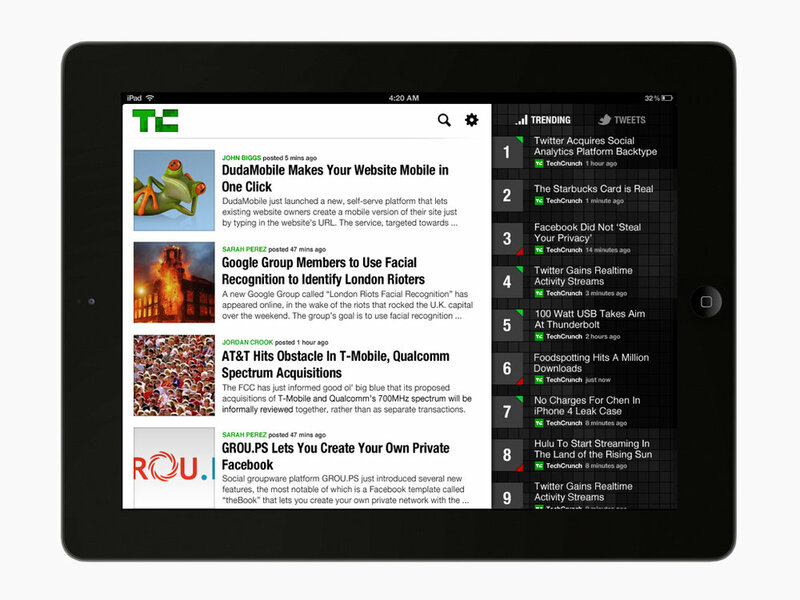 Provide a beautiful optimized reading experience for TechCrunch content. Connect TechCrunch content with the backstory by pulling more information from companies, people and products from the CrunchBase (TechCrunch’s own leading platform to discover innovative companies and the people behind them). Make it easy for the readership to view related third party content within the app. Monetized the experience with co-branded sponsorship. 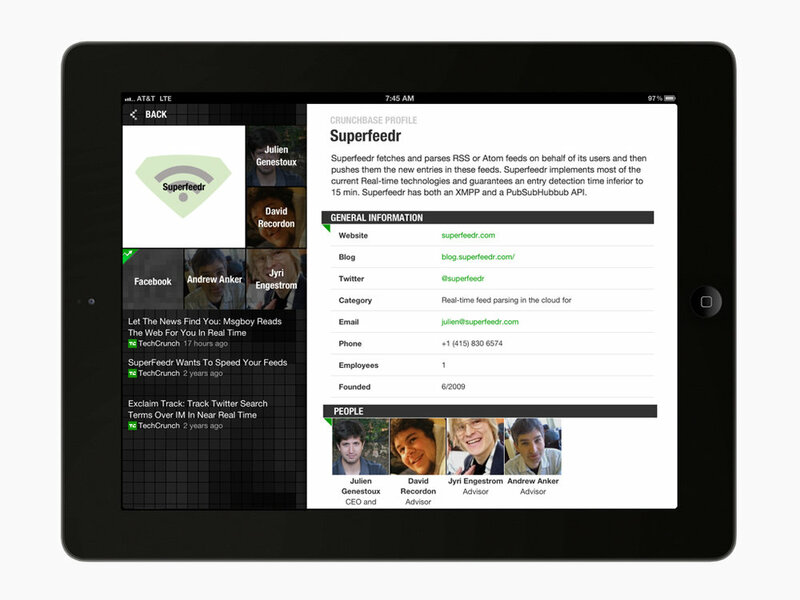 As a result, TechCrunch began to effectively monetize it’s own content on mobile. The iOS app was rated the #1 news app on iTunes one week after launch and won a Webby for best news app. The readers gave us glowing reviews and users pushed TechCrunch to a five star rating.